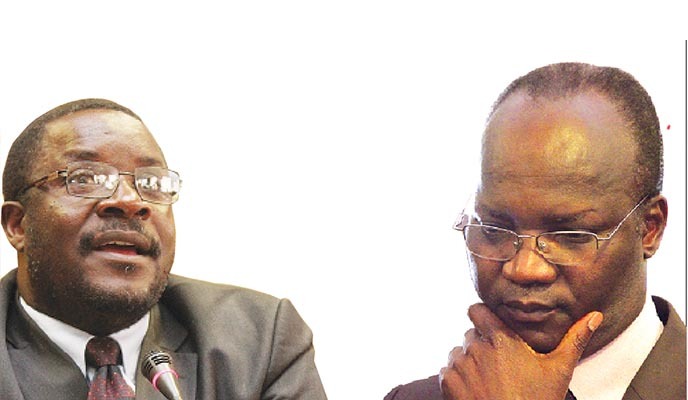 ZIMBABWE – Columnist, Nathaniel Manheru, strongly believed to be President Robert Mugabe’s aide, George Charamba, has warned of a looming Zanu PF split, if the shadowy Generation 40 (G40) faction is left unchecked. “The idea is to have successive breakaways that would leave Zanu PF anaemic and softened for defeat. Expect more exfoliation,” Manheru wrote in his weekly column published on Saturday. The ruling party is currently engaged in nasty internecine factional fights centred on Mugabe’s succession. In his article, Manheru rechristened the G40 as G-Wikileaks, saying members of the group, like ousted Vice-President Joice Mujuru, would soon meet their end because of their alleged links with the US. “The splintered MDC-T is being slowly re-soldered by the Americans, with the strategy being to exaggerate intra-oppositional differences in the hope of engineering a surprise for Zanu PF, but unlike in 2008, the two shards out for Zanu PF, then playing out as Mavambo and then Zapu, will have to happen now in order to reunite before 2018,” he wrote. Manheru said the fall of Mujuru was mainly because of the unforgiven sins of consorting with Americans, which was exposed following the leaking of diplomatic cables between US and Zimbabwe by Wikileaks, a whistle-blowing organisation. The shadowy columnist, also accused the opposition MDC-T of fueling the recent demolition of houses along Airport Road in Harare, a move he said was aimed at tarnishing the Zanu PF government’s image. “The urban housing demolitions are in full swing albeit under an MDC-T council. When this is couched as a human rights story, it is the Zanu PF government, not MDC-T council, which gets convicted. Even the cholera story is back with a resonance familiar to the 2008 scenario,” Manheru wrote. But, MDC-T spokesperson Obert Gutu yesterday dismissed the claims as “a pack of lies” and reminded Charamba that the demolitions were ordered by his principal.